The Lowchen is a small, regal dog that originated in Germany. The breed found its home as a companion dog in the courts of many royal families and can be seen in wedding portraits of their wealthy owners or read about in texts as early as 1442. The Lowchen weighs ten to eighteen pounds and stands at eleven to fourteen inches. The name Lowchen means “little lion dog” in German, and this moniker describes the unique cut in which many Lowchen owners style their dog’s fur. This cut resembles a male lion’s fur and mane. It is achieved by shaving much of the back half of the dog to retain a shaggy mane and furred bracelets on its paws and tail. It is not clear where this practice originates from, although many Lowchen owners follow it to this day. Owners wanting to continue this tradition of the lion cut should be aware that their dog may need warm clothing in the wintertime and sun protection in the summer, since all dogs are at risk of developing skin cancer. This risk only increases if the dog has light fur or if its fur is shaved. Interestingly, this dog most commonly has black, white, or silver fur, although fur that would resemble a lion’s, like sable, is also possible. Where not cut in a lion-like fashion, the Lowchen’s coat is wavy and flowing. Additionally, the Lowchen’s coat does not shed much and is a good option for people with dander sensitivities in the market for a dog. That said, the coat does require frequent brushing and combing. Due to their unique coat, professional grooming may be required and should be factored into the decision to bring a Lowchen into your home. The Lowchen’s entire life revolves around its family, and it is more prone to separation anxiety than other dog breeds. 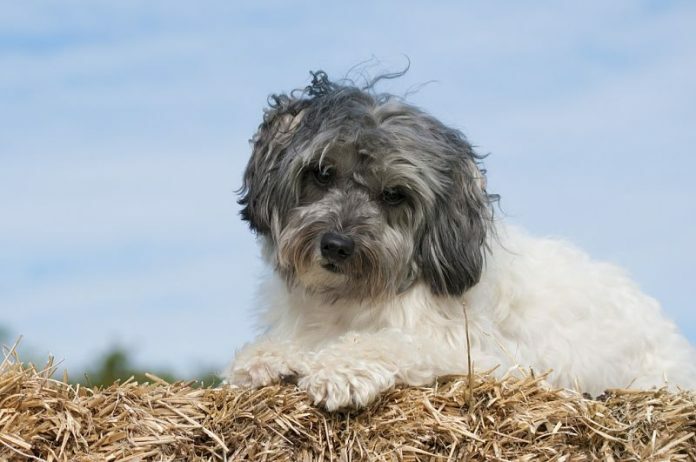 However, this intensity also means that the Lowchen loves its owners fiercely and deeply, and they are also good pets for families with children. They are neither as fragile as toy breeds nor prone to rough playing like larger dogs. Additionally, this dog may be slightly more difficult than others to house train, and it also has the tendency to bark and warn its family about visitors or passers-by. Lowchens are healthy and active small dogs, but they don’t require heavy exercise like working dogs. They are also intelligent and quick to train for obedience or agility. Ironically due to its usually-hypoallergenic nature, Lowchens are prone to allergies themselves. They should be fed a high-quality diet and kept in an environment free of physical allergens to prevent bacterial skin infections. Lowchens may also have loose knee joints or patellar luxation, which a common health issue in many purebred dogs. This breed may also develop optical conditions. The average Lowchen lifespan is twelve to fourteen years. This dog is suited to many types of homes and families due to their easy temperament, but the true test is finding a Lowchen. That’s because after World War II, Lowchens nearly became extinct. One woman, Madame Bennert, revived the breed with only two female Lowchens and one male. Lowchens were once the rarest breed in the United States with only 65 registered members, and although the ranks of this breed have grown in number since they are still rare. Even a rarer quality, this easygoing breed should pair wonderfully with a cat in the home, either one already living there or adopted at the same time as the dog. A qualified breeder or a rescue should be your first source for your dog. Sound breeders will also be able to breed shyness as well as excess health conditions out of their line, which will give you a long and happy time with your new Lowchen.